← Check Out These Fundraisers! Save on Bikes, Scooters and More! Spring officially kicks off next week! That means your little ones are going to be spending more time outdoors. Shop FAO Schwarz and save on bikes, scooters and more. Plus, you’ll earn money for your school! Are your kids into bikes? 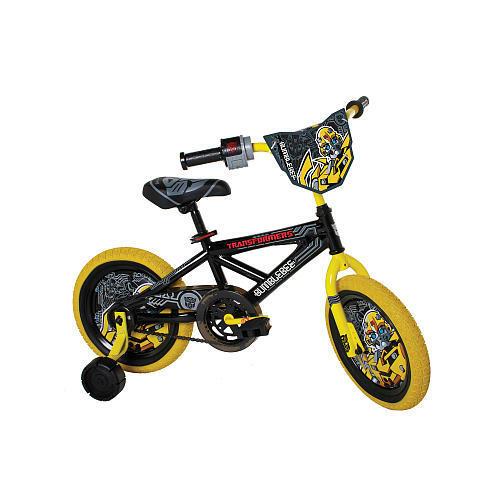 Check out great children’s bikes like the Dynacraft Transformers Bumblebee 14-inch bike for boys. It’s recommended for kids between the ages of three and five. It comes with full color wheel inserts, training wheels, coaster breaks and an alloy quick release seat. Is your kid still at the tricycle stage? Check out the Schwinn Roadster. It’s a great choice for a first tricycle. It has a low center of gravity to help prevent spills and raised ends on the handlebars to keep your tyke’s hands from slipping off. And there’s extra gripping on the pedals to keep little feet in place. It’s both stylish and dependable. Razor Scooters are all the rage these days. Shop with FAO Schwarz and save on scooters like the Razor A2 Kick Folding Scooter. It has excellent new features like a wheelie bar for tricks! It’s easy to fold and has adjustable handlebars for added comfort. Plus, you don’t have to worry about it getting damages because it’s made with aircraft-grade aluminum. For more daring kids, skateboards might be in order. Take a look at the Kryptonic Pro Series 31-inch Fire Skateboard. With its fire print decals, this board is definitely cool. It’s a versatile choice that’s great for any young boarder, especially those between the ages of five and seven. Physical activity is great for kids. Get your little ones ready to enjoy the warm weather and help out your school, to boot!